Former Willem II midfielder Ibrahim Kargbo is facing a criminal prosecution after the Dutch FA said it had found evidence that he helped fix an Eredivisie match. An investigation by the KNVB’s integrity unit found that Kargbo had agreed a deal with a convicted Singaporean match-fixer to lose to FC Utrecht in August 2009. Utrecht won the game 1-0. Kargbo and two team-mates allegedly stood to earn €200,000 for securing the result, but the payment was cut to €75,000 because they were supposed to lose by more than one goal. The Sierra Leone international is also alleged to have organised a benefit game between his club and his country with the Singaporean fixer, Wilson Raj Perumal, so that it could be manipulated by betting syndicates. The public prosecution office’s fraud division will investigate the case to see if charges should be brought against Kargbo, NOS reported. Kargbo is outside the KNVB’s jurisdiction, having left Willem II in 2010 for the Azerbaijani club Baku. He currently plays for Atletico in Portugal. Dutch football authorities have also handed over case files to the international governing bodies Uefa and Fifa. Kargbo and Perumal have been implicated in the suspected rigging of several other games in 2009, including a 4-0 loss at NAC and a 2-0 defeat to Sparta. Perumal has been convicted in the past of fixing hundreds of matches around the world, including games involving Sierra Leone’s national team. The 33-year-old Kargbo was one of 15 international players suspended in July 2014 over allegations of match-fixing relating to a World Cup qualifier against South Africa in 2008, which finished 0-0. 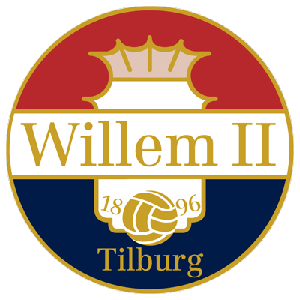 The KNVB said it had found insufficient evidence against Willem II’s former captain and goalkeeper, Mikael Aerts, and another unnamed player who were alleged to have been the other beneficiaries in the match against Utrecht. Kargbo, who has repeatedly denied wrongdoing, told the integrity committee he had done nothing to influence the game, while Perumal told the Volkskrant that he was not involved in fixing the benefit match.